Machu Pichu is one of those fascinating places to visit that you just can't find everywhere. Are you familiar with this ancient city in Peru? It's a city that the Incas built centuries ago, and there are all kinds of ancient ruins and historical landmarks to see. You're going to be overwhelmed by the natural beauty of this place, and you'll be taking all kinds of pictures as you enjoy the scenic views at different locations. 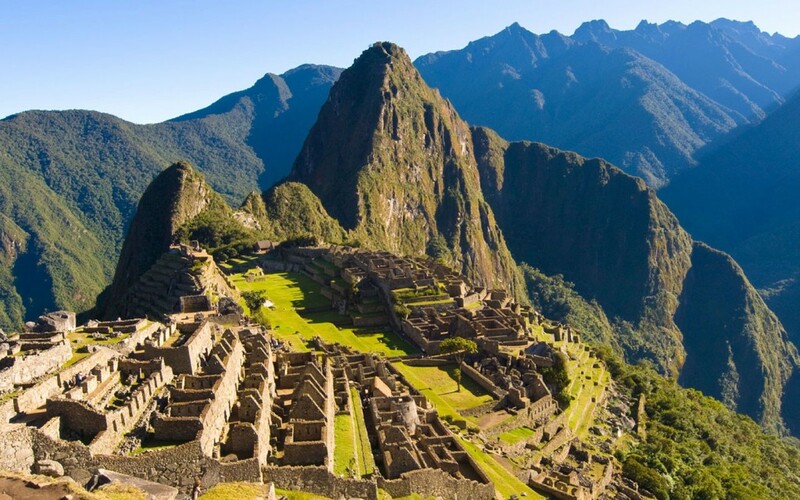 Are you ready to explore Machu Pichu and experience something new? Runkuracay could be one of your stops while you're there in Machu Picchu, and the pictures that people have posted from this site are simply amazing. It really looks like you're going to feel like you're stepping back in time. This is one of the pit stops you can make when you're on the Inca Trail. One reviewer describes the lookout post being one of those spots that is going to give you great views. Next is the Ruins of Intipata, and one reviewer talks about the high terraces contrasting against the deep valleys. This sounds quite fascinating, and by the way, I'm seeing a package that you can buy that is for seven days as you make your trek along the Inca Trail. Now, that is one exciting vacation with lots of sights to see. I'm assuming since it's a package that you would have a tour guide to help you locate everything. Roca Sagrada is your next stop, and what you're really going to be looking at is a large rock. Now, don't let me lose you here. Check out the pictures, and imagine seeing that enormous rock in person, against the backdrop of everything else you're experiencing in Machu Picchu. Your next pit stop is the Intihuatana Stone, which evidently has a twin across the way. No one really knows what this formation was used for, but it evidently had an important purpose. Winawayna is one destination you'll reach as you work your way through the Inca Trail. Once you hit this landmark, you'll be close to Machu Picchu. That's right, you're trekking the Inca Trail for days all the way to the ancient city of Machu Picchu. Now, if that doesn't give you a story to tell, I don't know what will. This would definitely be an interesting vacation that you never forget. The Inca Trail itself is a challenge, and you do need to realize that. You have to be dedicated to being out in nature and taking a trail through ancient ruins. It might not be everyone's cup of tea, but I can guarantee you it would be mine. Maybe one day I'll get to experience what this trail and the ancient city of Machu Picchu has to offer. Are you up for an adventure? If so, this could be your next vacation, which sounds anything but boring. You'll come back a different person for sure having seen this corner of the world. https://youtu.be/Zk9J5xnTVMA Watch this unbelievable video of Machu Picchu by Devin Supertramp.